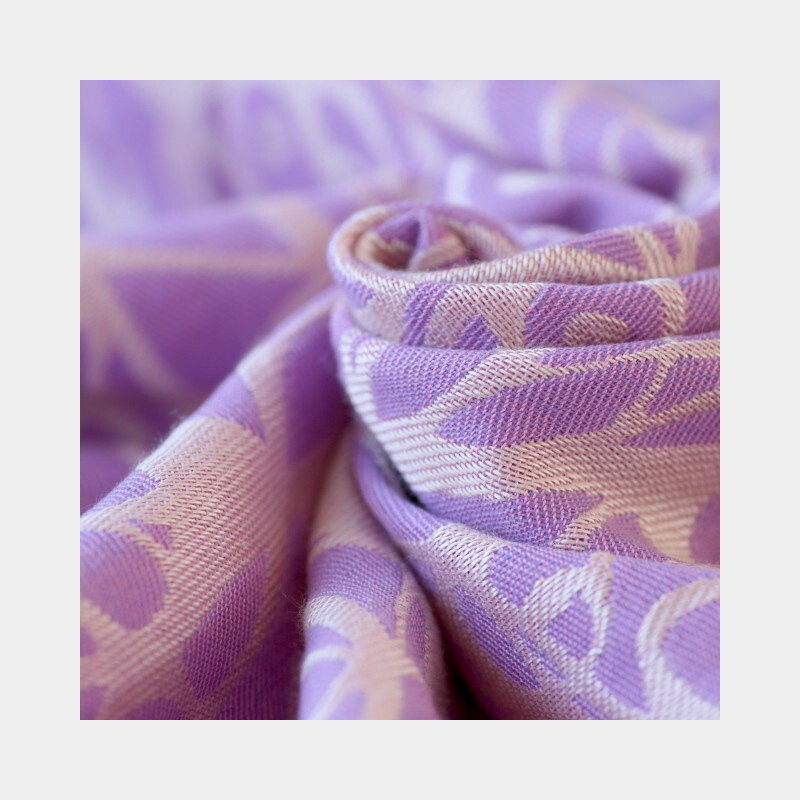 Tender lavender on warm ecru. 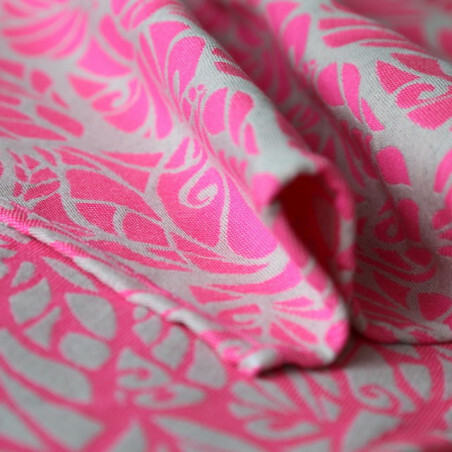 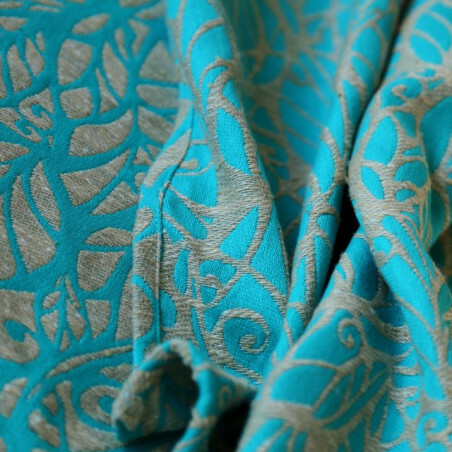 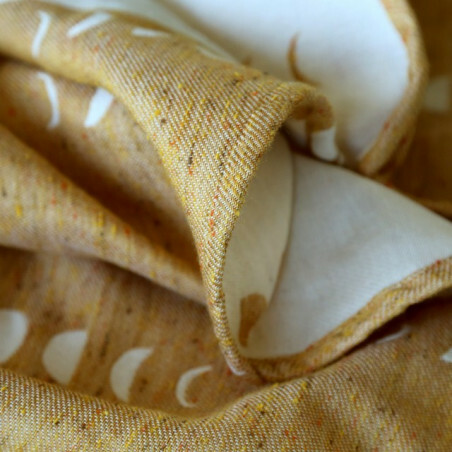 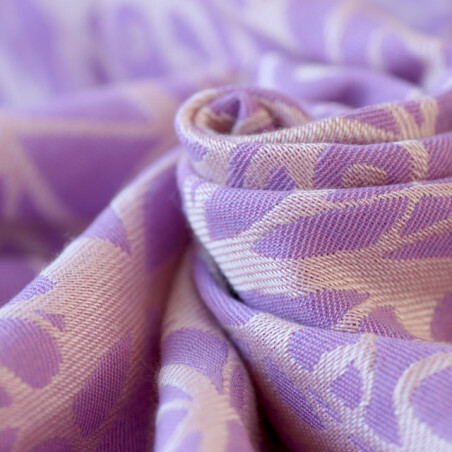 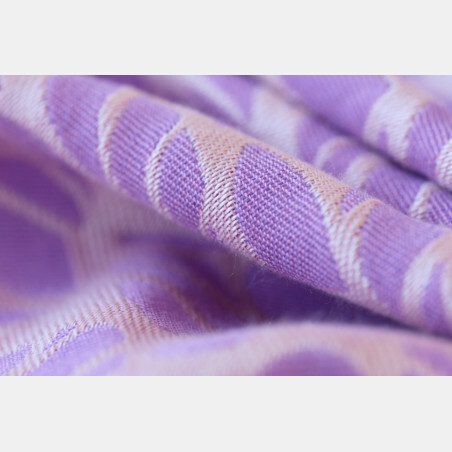 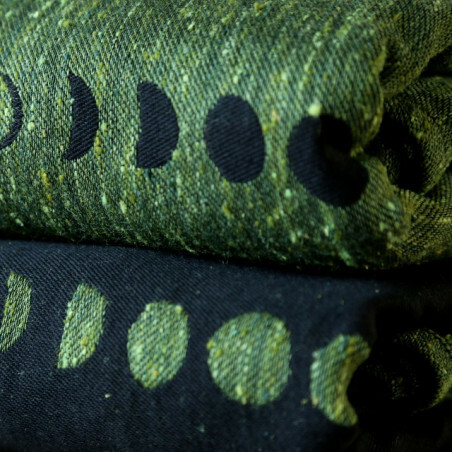 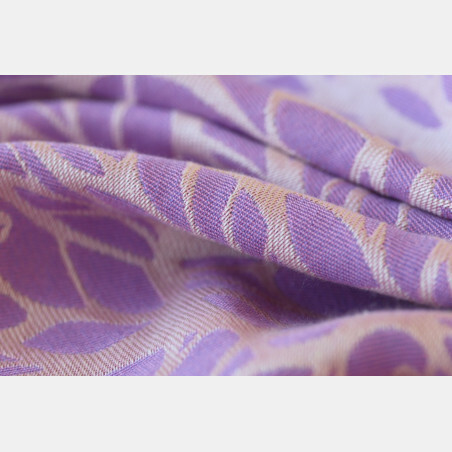 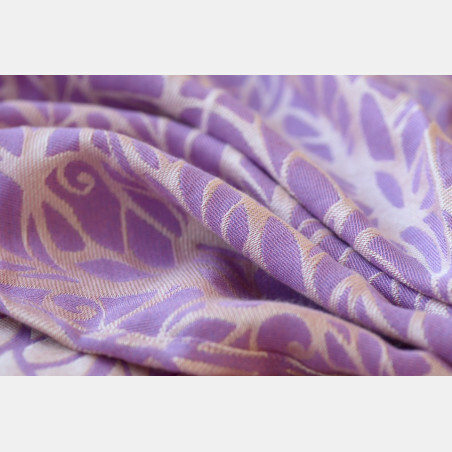 The luxurious blend of mulberry silk and seaweed paired with cashmere results in an outstanding softness. 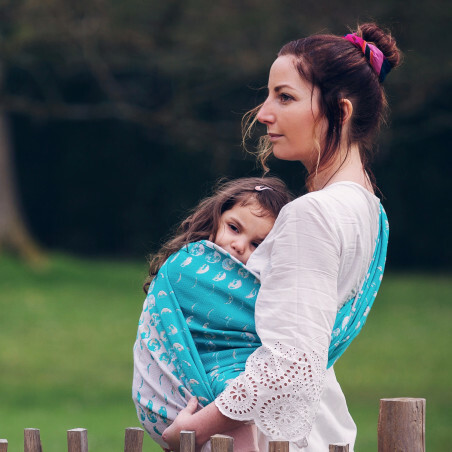 Minimum to no breaking in is needed. 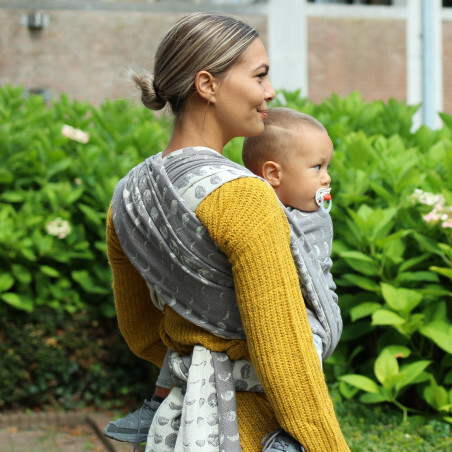 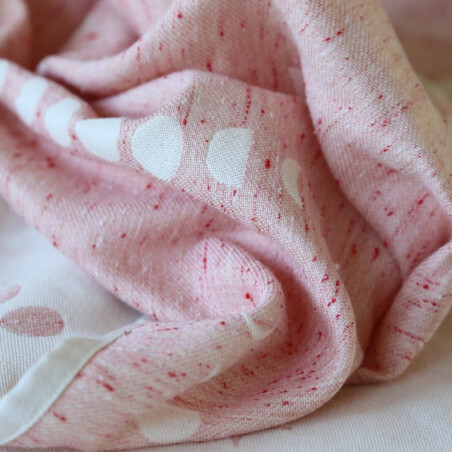 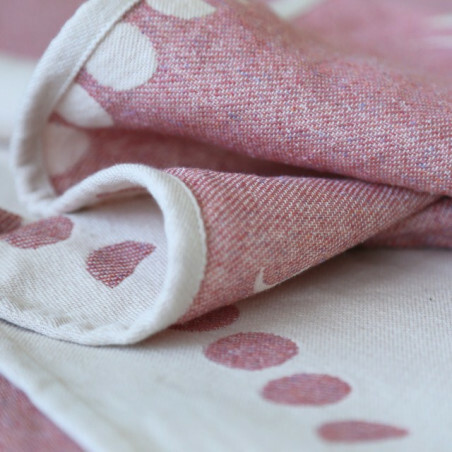 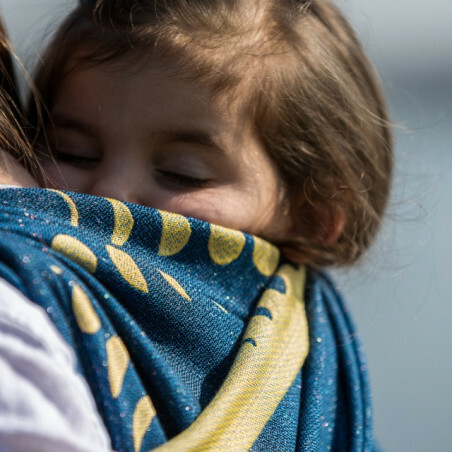 The wrap is perfect for young babies and has an excellent support for toddlers. 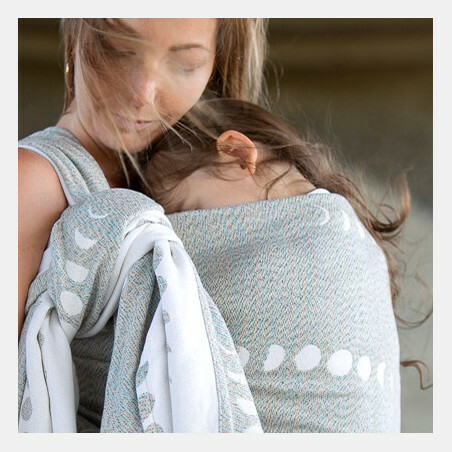 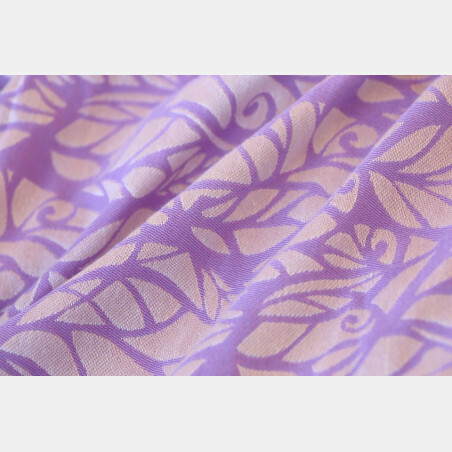 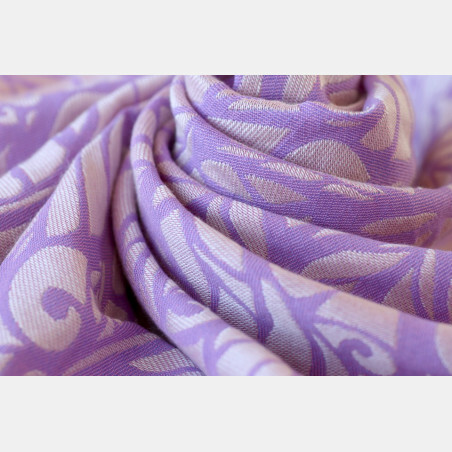 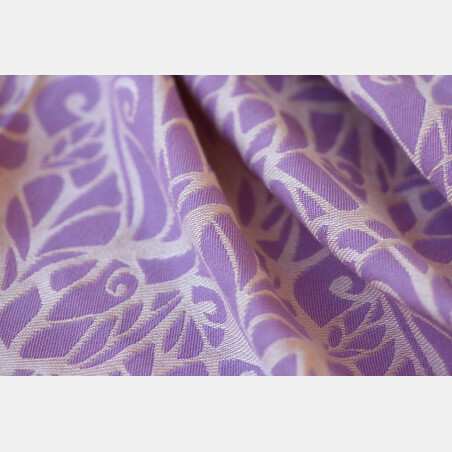 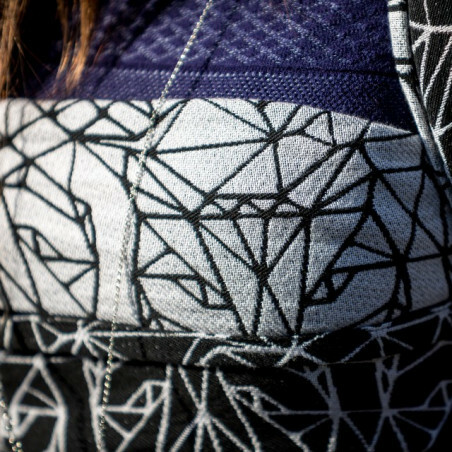 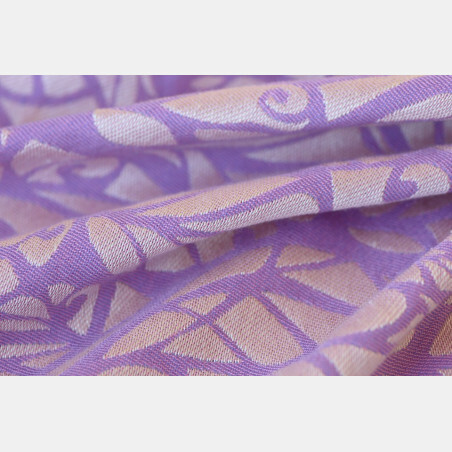 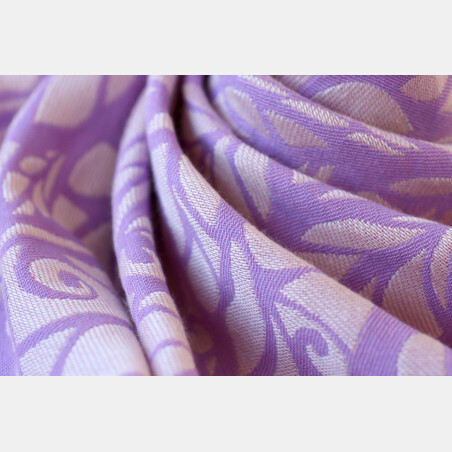 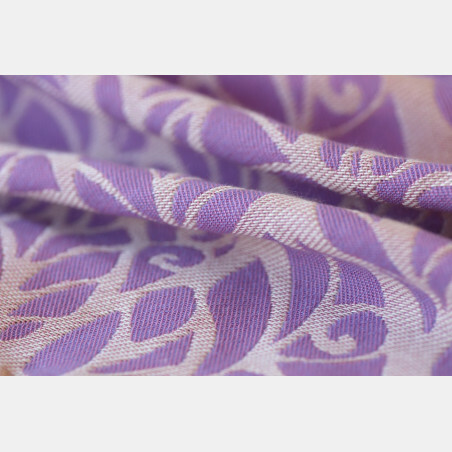 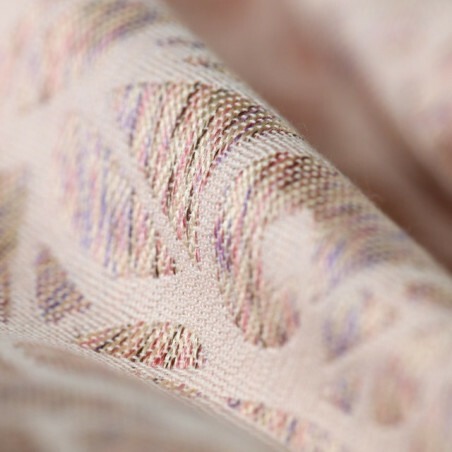 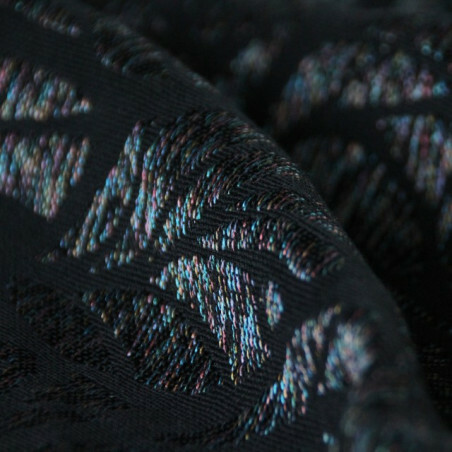 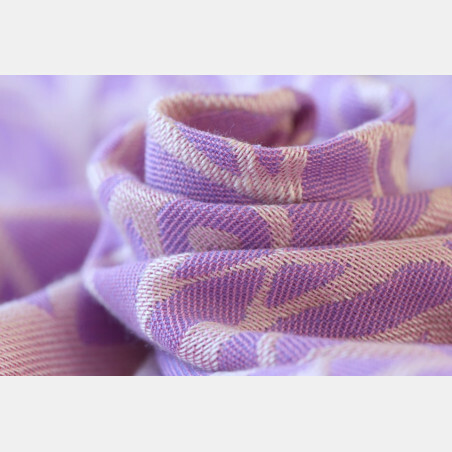 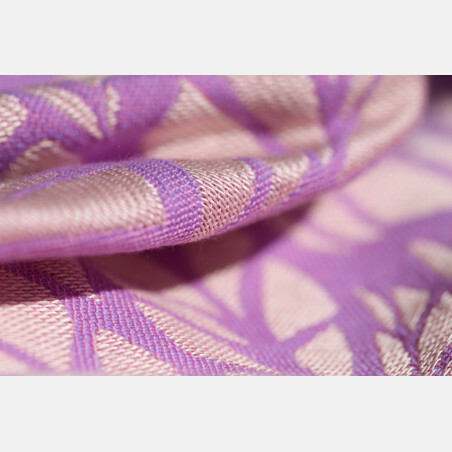 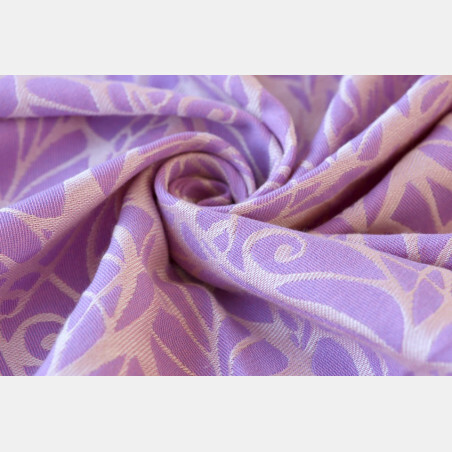 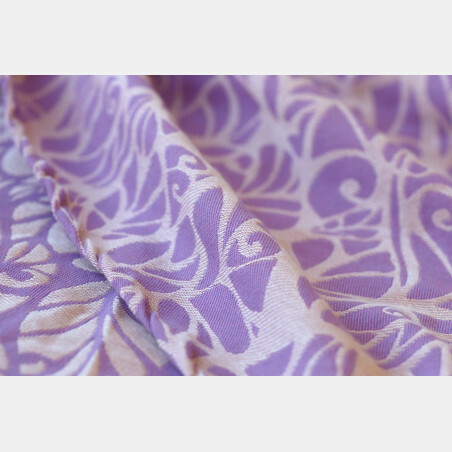 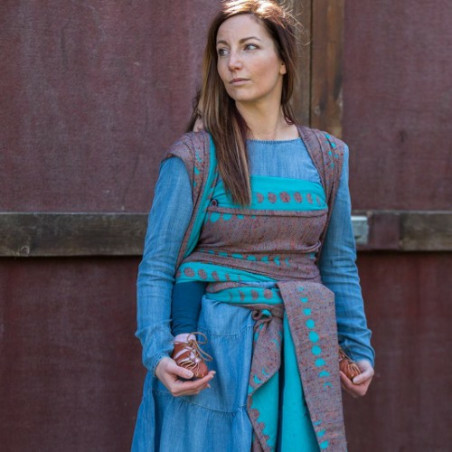 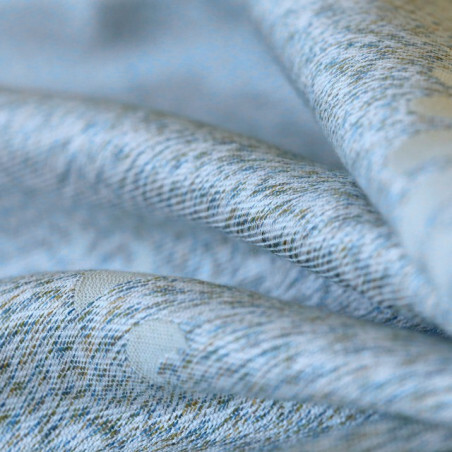 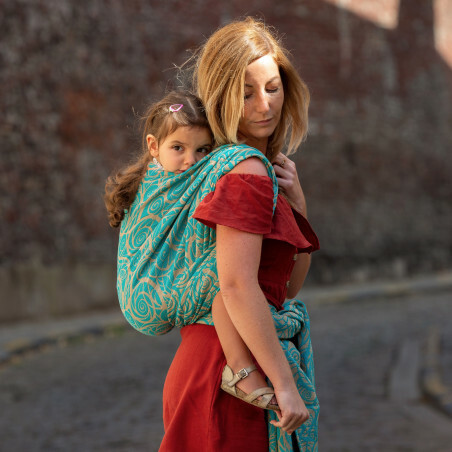 This wrap has it all: softness, luxury feel, mesmerizing shine, excellent support and strength.